Visual Studio Code>Programming Languages>vscode-jasmNew to Visual Studio Code? Get it now. 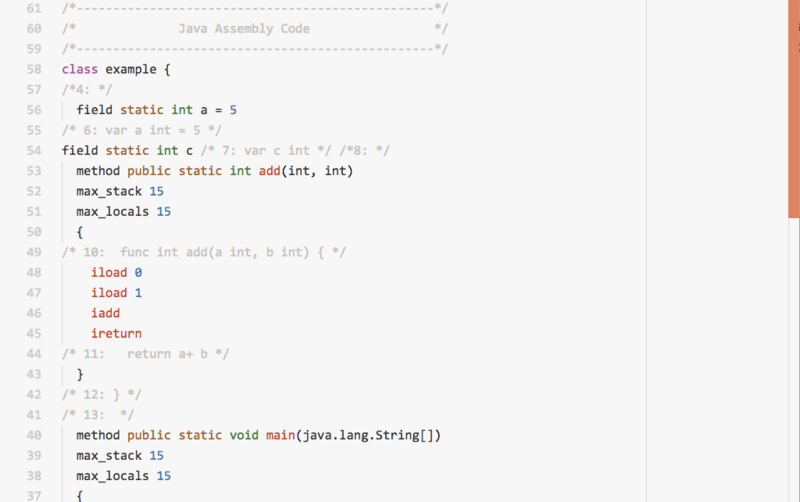 This syntax highlight extension is a minimum support for the Java Assembly Language(.jasm). You can find more about the language from this website.